Can you ship wines to me? 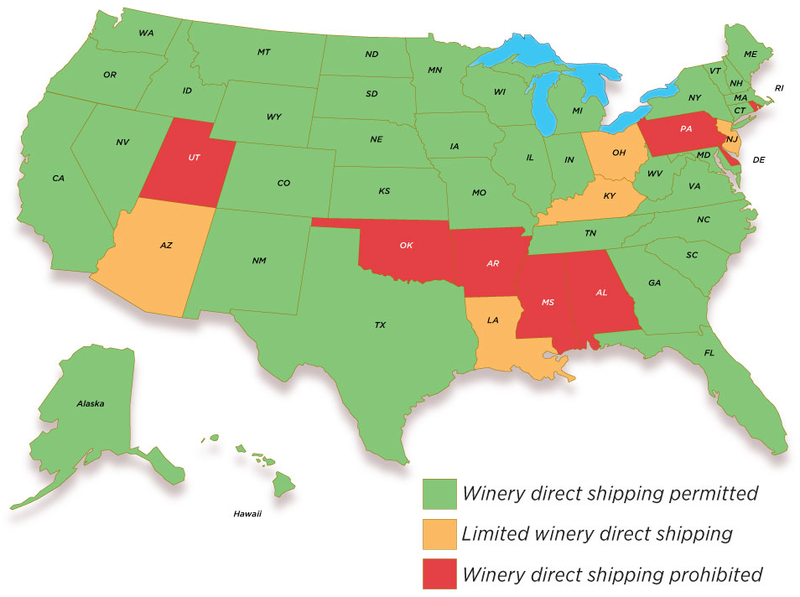 We can ship wines to most states - please see the map below if you are in a state that is prohibited to direct ship wine. Can my package be left out if no one is available to sign for my delivery? There must be an adult at least 21 years of age available to sign for the package. No exception If no one is available when a delivery is attempted, the package will be held at your local UPS or FedEx location for several days for pick-up and soon after will be returned. In order for the package(s) to be re-sent or shipped to a more convenient location such as a business, we must recharge you for shipping. Why can’t CedarWines.com ship to me? Certain states in the U.S. do not permit alcohol to be shipped into the state for various reasons. Do you ship to businesses? Shipping to a business address is encouraged if no one will be available at home to sign for the delivery. Please include the business name to ensure prompt delivery. We cannot ship to PO Boxes in any situation. Once your order is received, you will get an automated email receipt with the items ordered and their total as well as shipping and billing information confirmation. We usually ship your wine within 24 hours of your placement on the order on business days depending on the preferred shipping method. We unfortunately do not ship overseas at this time.